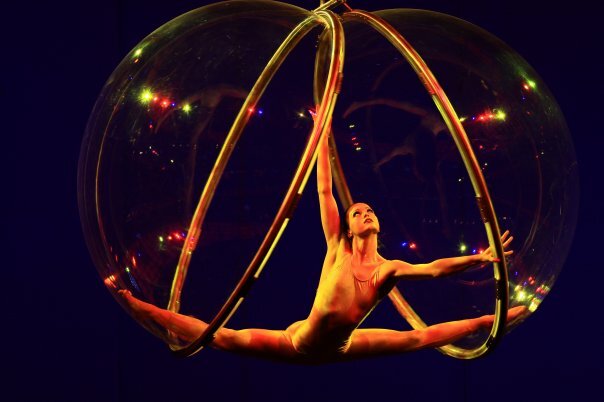 This breathtaking show consists of aerial acrobatics in a floating ball, which has been the main attraction at corporate events around the world. Emilia moves with grace and performs a beautiful show inside and outside of the glass ball. This act is unique and will be a big talking point among your guests long after the event. (Emilia is a glass ball aerial act in Germany, perfect for wedding anniversary entertainment, wedding reception entertainment, civil ceremony entertainment, asian wedding entertainment, civil partnership entertainment, private parties, birthday party entertainment, party entertainment, corporate party entertainment, high end entertainment, award ceremonies, gala dinners, nightclub residency entertainment, festival entertainment, product launches, conference entertainment, international event entertainment, Christmas party entertainment.